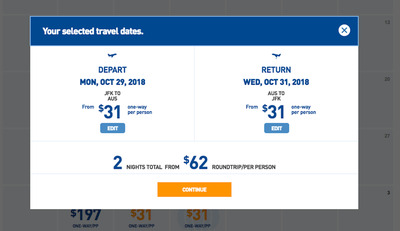 JetBlue Airways is having a one-day sale for flights over Halloween week, with fares for as low as $US31 one-way and $US61 round-trip. There are several restrictions to the promotion, as the flights must be booked before 11:59 p.m. EST on Friday, October 12, and are contingent upon supplies lasting. Travel is restricted for dates between October 29 and November 3, with select routes only available. 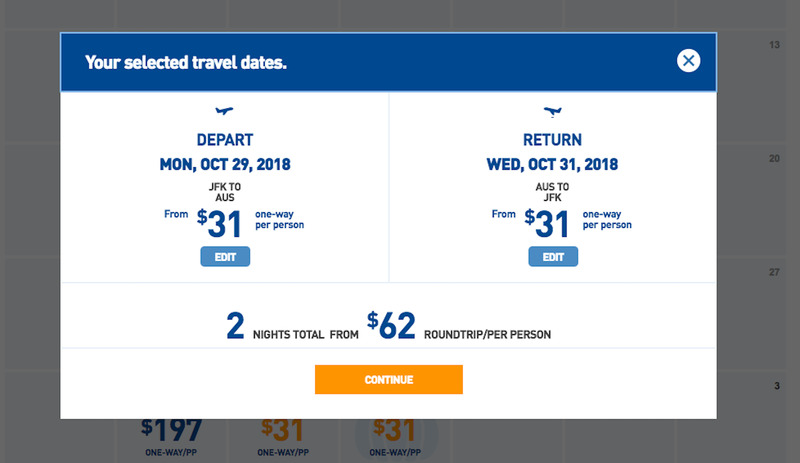 JetBlue Airways is having a one-day sale for flights over Halloween week with fares for as low as $US31 one-way and $US58 round-trip. Titled “The Get Ghoul-ing Sale” on the airline’s webpage, a majority of the promotion’s flights depart from Boston, Fort Lauderdale, New York, Orlando, and Washington, D.C. There are several restrictions to the promotion. First, flights must be booked before 11:59 p.m. EST on Friday, October 12, and are contingent upon supplies lasting. Second, the travel is restricted for dates between October 29 and November 3, with select routes only available. Fares also include government taxes and fees and the promotion is not valid on previous bookings. None of the flights offered are international. A two-day trip at the beginning of the week from New York’s John F. Kennedy International Airport to Austin, Texas is available for a total of $US61 round trip, an indisputably good deal for any traveller. JetBlue AirwaysA screenshot of JetBlue Airway’s ‘Get Ghouling’ promotion Halloween week promotion. 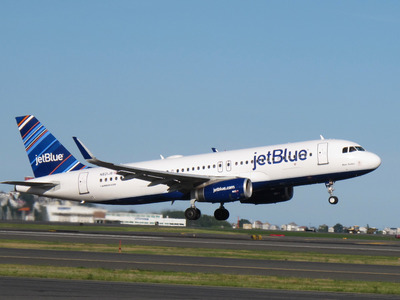 This is not the first time this year that JetBlue has offered a promotion based around short-term, low fare flights. In July, the New York-based carrier ran an “Endless Summer Sale” that featured $US58 one-way trips to the Caribbean. The airline made a bold move in August though when they became the first major U.S. carrier to charge $US30 for a first checked bag, a move that eventually spurred the other major domestic airlines to raise their fees to the same level.